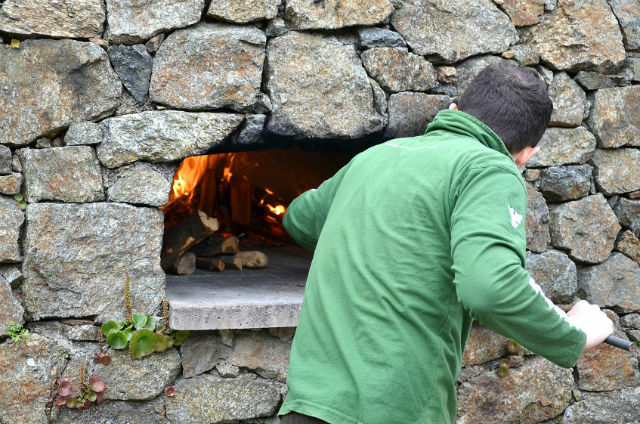 Aside from cooking your food over an open fire, it doesn’t get more primal than a traditional wood-fired oven, also known as a wood burning oven. 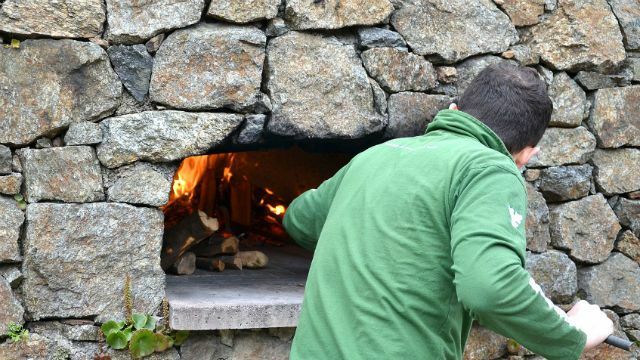 Wood-fired ovens have been used since ancient times by a plethora of cultures, and not only can they make your food taste great, they offer health and environmental benefits, as well. Perhaps the most famous wood-fired ovens are the ones designed by the ancient Romans, which still appear in many homesteads across Italy. They resemble a large round chamber, usually crafted from stone or terra cotta brick, with an open area in front to vent. Wood is burned inside the chamber, and the raised flat “floor” functions as a cooking surface. In the West, these ovens are most commonly used for cooking pizza, as they can cook one in about two minutes, while producing an optimal crust: light and crisp on the outside and soft on the inside. However, they can also be used to cook just about any food: your favorite gluten-free breads, roast meats and vegetables, braised dishes, casseroles and more. The heat in a wood-fired oven generally ranges between about 500 and 700 degrees Fahrenheit. The benefit to flavor, many experts agree, is the evenness of the heat distribution. The smoke flavor imparted by the wood also adds an extra flavor dimension that is impossible to recreate in a standard (or convection) oven. When fruits and vegetables are roasted or otherwise prepared in these ancient ovens, they are cooked very quickly. The speed at which they are done allows them to retain certain nutrients and antioxidants that might otherwise be depleted with a longer cooking time. Wood-fired cooking is also an environmentally friendly option, as it requires no electricity or gas: just the heat from the fire. While wood-fired ovens can sometimes be installed within the home, depending on your space, many choose to install them in an outdoor setting, such as a backyard patio. However, check your city guidelines before making the decision to install an oven, as some areas may have restrictions and regulations regarding their placement and use. These ovens can be quite costly, but if you’ve got the space and the finances, they can be a beautiful and beneficial addition to your home, and help to take your meals to a whole new level. If you’ve got one and are itching to try new and healthy recipes, check out our recipe for healthy, homemade, gluten-free pizza . Just keep in mind that you will have to adjust the cooking time – it should be ready in under 3 minutes. Though you may have to experiment a bit, the fun of using your wood-fired oven may just equal the deliciousness of what you create! Hey Buddy!, I found this information for you: "Benefits of Cooking on a Wood Fired Oven". Here is the website link: https://www.thealternativedaily.com/benefits-cooking-wood-fired-oven/. Thank you.